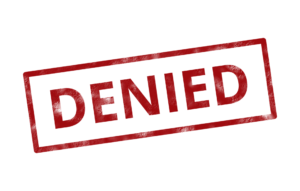 Medical claim denials by insurance companies continue to be a major problem for healthcare providers throughout the industry. Reasons for the denials remain numerous and ever-changing. New industry processes, best practices, and increasing government regulations keep denials in the forefront of effective and profitable practice management on a daily basis. Data entry and/or typographic errors on patient data. This can occur during the patient data intake process or the claim entry process. Duplicate claims submitted for the same service. This can happen when a practice has not yet been reimbursed for a previously submitted claim. Missing or misapplied procedure code modifiers. Inaccurate site of service (inpatient or outpatient) designation marked on the claim form. Patient’s insurance plan deductible has not been met for the year. Outdated or deleted diagnosis codes used on the claim. Mutually exclusive or mismatched diagnosis codes used on the claim. Patient has exceeded his/her plan’s benefit amount for the year. Lack of prior authorization approval by the patient’s plan for the services provided. Services rendered are not covered under the patient’s insurance plan. Services rendered are deemed medically unnecessary by the patient’s plan. Providing physician is outside of the patient’s insurance network. However, there is some good news. With increased focus on and attention to the causes for denials, successful strategies can be implemented to effectively manage and overcome them. These strategies must contain both preventative and follow-up measures, but can significantly improve the overall denial process. “Denials are your treasure chest for performance improvement,” Woodcock states. “This is your guide to really make a difference.” When acted upon appropriately and responded to accordingly, she states that at least 80 percent of all denials do eventually get paid. Don’t make these mistakes in your practices! GBS’ Revenue Cycle Management (RCM) services can help reduce your denial rates to less than 1% – adding dollars directly to your bottom line. Contact us at 1.800.860.4427 or at marketing@gbscorp.com and let us help you start collecting what you’ve already earned!